Made from a polyethylene (Olefin) film laminated to a polypropylene spun bound non-woven substrate. Lightweight and soft with excellent strength. 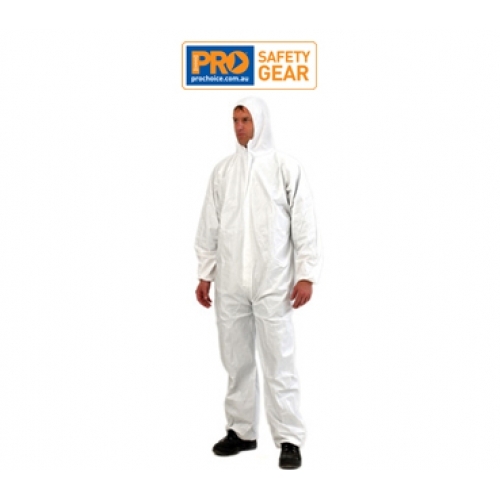 Breathability to reduce moisture build up. Water vapour permeable and water repellent. Excellent barrier to dust and broad range of chemicals. Lint-free. Good opacity. Two way zipper for when nature calls. Ready access to clothing underneath.